. . . . . . Coca-Cola bottles, available anywhere in the World.
. . . collects the clean water in the opposite bottle. 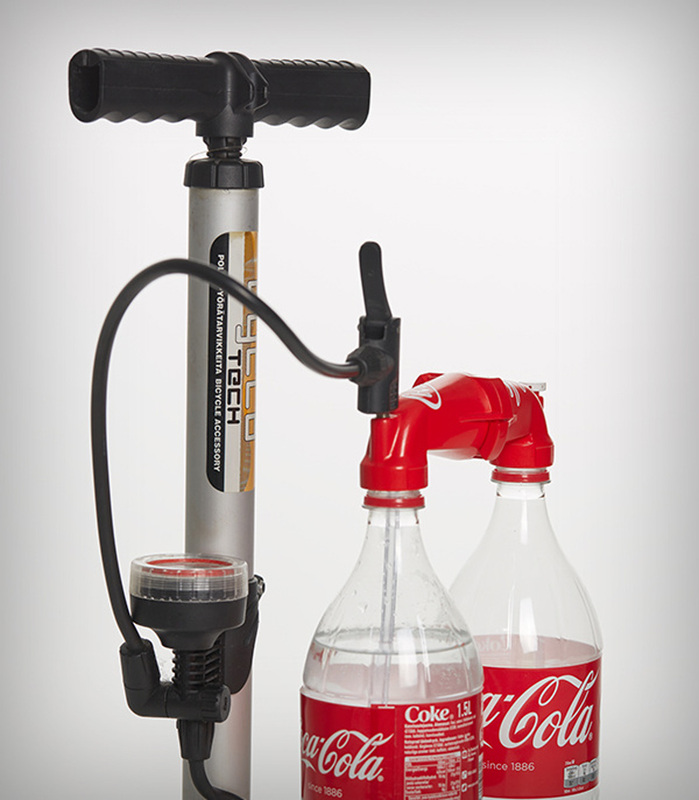 . . . . . . bicycle pump.